Lucknow: Mayawati announced on Wednesday that she won’t contest the upcoming Lok Sabha election. The chief of Bahujan Samaj Party said that while she would help her party and Samajwadi Party – BSP’s alliance partner in UP – in ensuring success, she herself won’t contest in the election. “I have decided to not contest in the Lok Sabha election. I am confident that people in the party would completely understand my decision,” she said. Mayawati had previously been wooed for an alliance by Congress but she chose to join hands with SP instead. Even when Congress left seven Lok Sabha seats vacant in UP, saying it had done so for BSP, SP leaders to contest in if they chose to, Mayawati had hit back saying that the wrong impression was being given out. 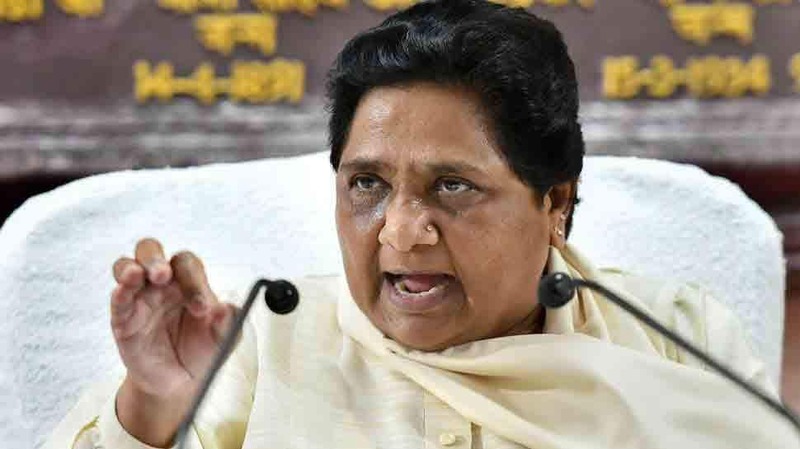 She also said that the BSP-SP combine is more than capable of defeating BJP in UP and that Congress should feel free to contest in all seats.